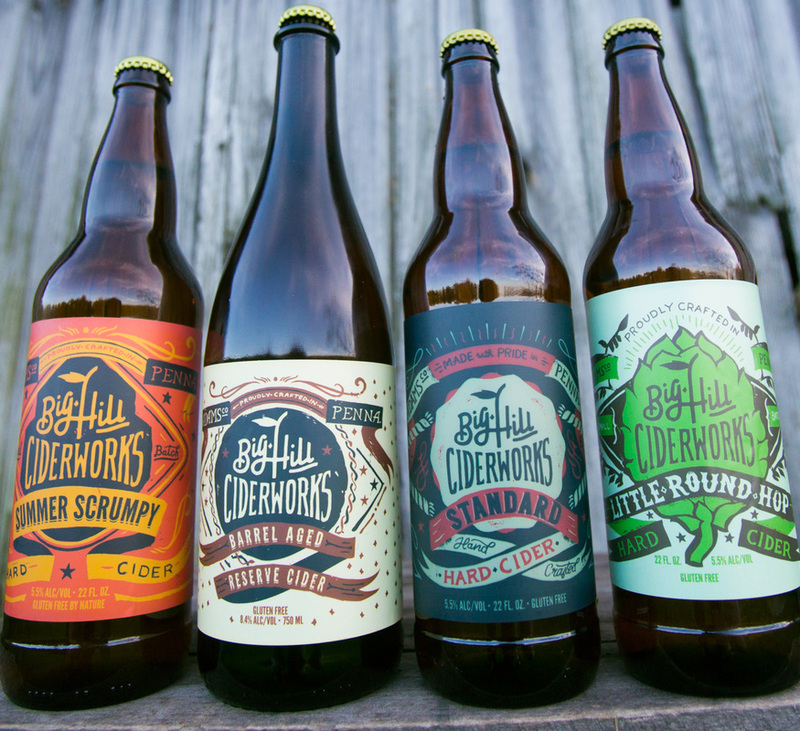 ​Big Hill Ciderworks started in 2014 when two partners, Ben and Troy, starting producing ciders from apples grown in their orchards. Both had quit their careers in the automotive industry to pursue a passion for growing fruit and producing cider. ​Together, both orchards include nearly 40 acres and 40 varieties of apples, most of which are grown specifically for cider. Our location in Gardners, PA provides great soil, weather and other conditions to grow some of the best fruit in the country. 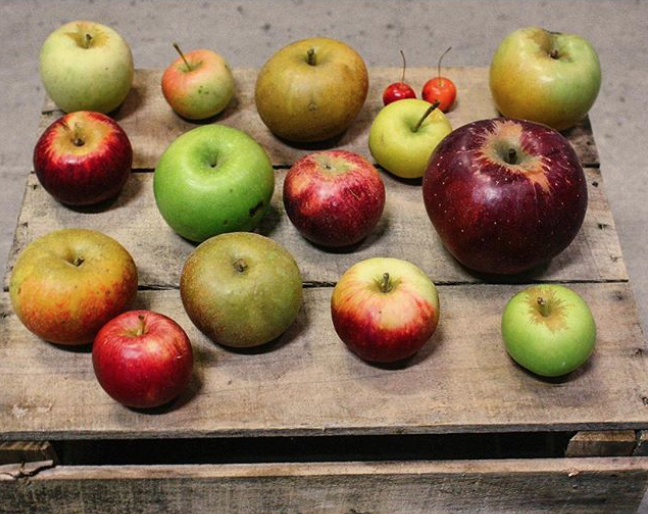 The quality of this fruit shines through in each cider we produce. By growing our fruit, we control the process from tree to bottle. We can also blend different varieties to control the sugar, acidity and tannin levels of each cider, this is why we will never add any additional sugar, sweeteners, colors or flavorings (natural or artificial) to any of our ciders. 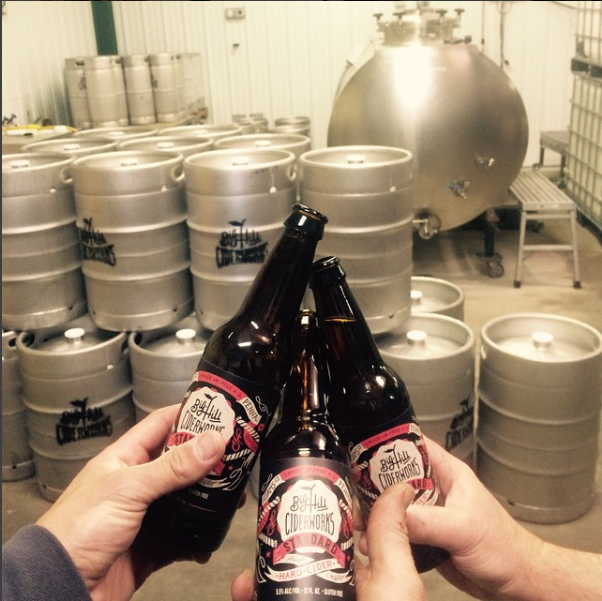 Along with growing our own fruit, we also press, ferment, bottle and keg our ciders here. Being two guys from the auto industry, nearly all of our equipment is second hand or has been built by us. Some call it ingenuity, we call it necessity.